Let me speak for everyone when I say: where the hell did that come from? Back-to-back beat downs at the hands of the Ravens and the Chargers, which saw the Bills outscored 78-23 (and 75-9 before the second half of the Chargers game), had given everyone pause as to whether or not the Bills might win a single game this season. The foreboding schedule — trips to Minnesota and Green Bay on the immediate horizon — led most everyone to the conclusion that things were going to get far uglier sooner rather than later. But that trip to Minnesota (not Wisconsin, as the Bills twitter would have you believe) ended not with another painful defeat, but instead a stunning series of events that seem too improbable to have actually happened, even two days later. 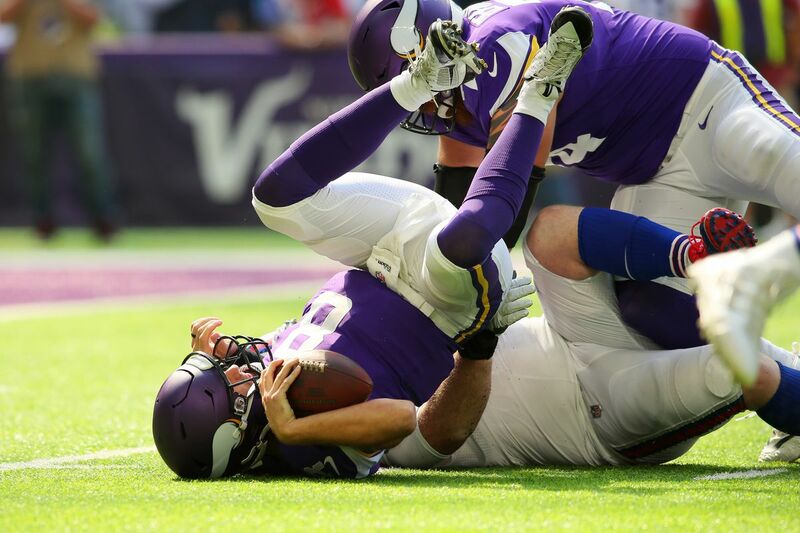 The Bills not only came to play against the Vikings, who were favored by a whopping 16.5 points, but they rode a completely dominating first half all the way to a win. They were up 17 points by the end of the first quarter. The defense completely stifled Kirk Cousins and shut down the Vikings run game to the tune of 14 yards rushing before they abandoned it in the second half. Josh Allen was out here hurdling fools on the way to a 15-of-22, 196 yard, one touchdown, two rushing touchdowns kind of day. It still feels pretty difficult to say exactly what happened. Maybe the Vikings got caught looking ahead. Maybe the defense got their wake up call in the second half of the Chargers game and used it to finally come to life against the Vikings. Maybe Allen really is the second coming (all hail) and we are seeing his ascent towards becoming the next great NFL quarterback. 1.) The defense can be very, very good. It’s hard to tell because of the first two games, but there is still a lot of talent on this defense and they can be absolutely disruptive when things are going well. They kept constant pressure on Cousins Sunday afternoon, forcing a pair of fumbles and an interception while ringing up a quartet of sacks. Those short fields put Allen in a position to succeed in short order. The rumors were that head coach Sean McDermott had taken over the play-calling, but coordinator Leslie Frazier got the game ball on Sunday. Perhaps McDermott taking over play-calling duties in the second half of the Chargers game was meant more as a wake-up call than anything else? 2.) The Bills appear to have their quarterback. No, I’m not saying that based entirely on Sunday, though Allen did look absolutely majestic and his completion percentage would have been higher if Kelvin Benjamin actually knew how to catch. This statement is based on the second half against Baltimore and the game against the Chargers as well. Even when the team was completely outclassed, Allen looked poised and confident, never allowing constant pressure to visually rattle him. He slides around oncoming rushers and zips balls into windows that a Buffalo quarterback hasn’t been able to hit since the days of Jim Kelly. 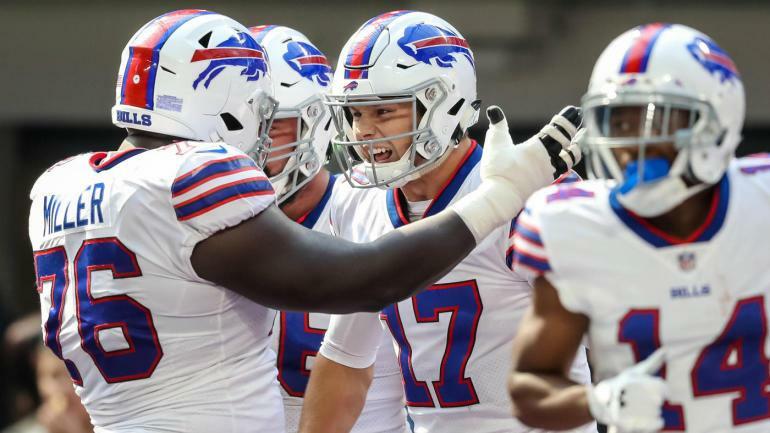 There will surely be more downs than ups this season, but Allen has a presence about him that a Bills quarterback hasn’t had in a long, long time. 3.) This team will live and die with the defense. Aside from the opening drive (which was aided by a very stupid penalty that extended the drive), the Bills offense succeeded with a short field before falling off in the second half. Allen, good as he’s looked at times so far, does not have the weapons other rookie quarterbacks have. LeSean McCoy missed the Vikings game and has been a non-factor so far this season. Benjamin, who on paper was the Bills best receiver, has been completely awful and there are no proven options after him. And the line has been spotty at best, non-existent at worst. The defense was dominant on Sunday and that is the biggest reason they stunned the Vikings. Bills fans everywhere will take that performance and cherish it for the next few weeks. This team is still bad both on paper and in practice. Even if the defense shows the ability to consistently perform, the offense will have its struggles along the way as Allen learns and grows in the offense. This will be a learning experience, though hopefully not as painful as the first two weeks were. So let’s enjoy it for now, Bills fans. After all, Aaron Rodgers looms ahead this Sunday. ← Previous Story The Roar: Lions Shock Patriots in Primetime, 26-10.